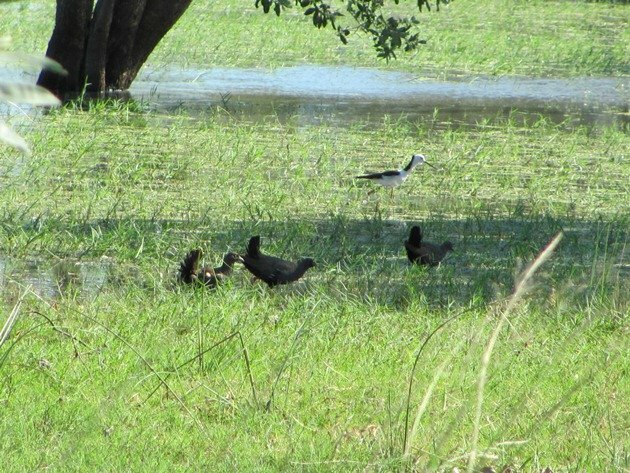 We rarely see Black-tailed Native-hens Tribonyx ventralis around Broome, but we did see them in several locations in Southern Queensland earlier this year. 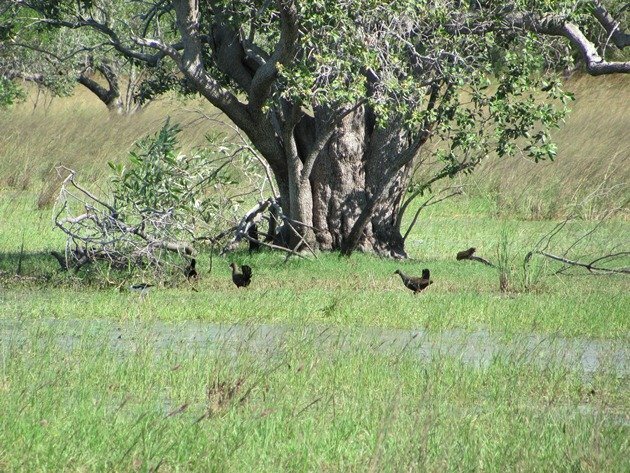 We had not seen any near our home in Broome until three years ago and then after an absence of three years we have seen them pop up everywhere! They were even present at the Poo Ponds in town on New Year’s Day to get onto our year list very early. 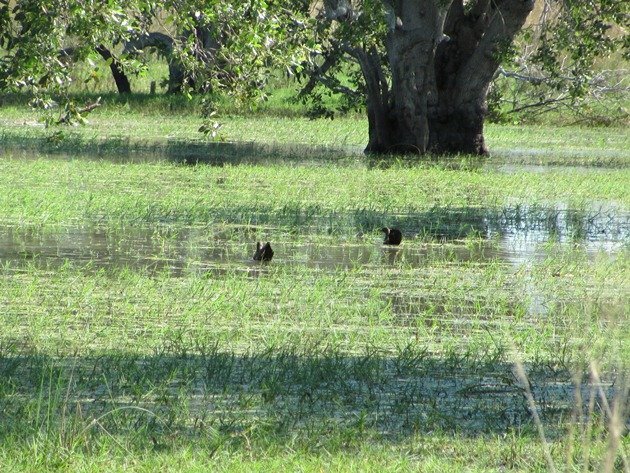 They are often seen after good floods, which we have had over the Wet Season this year in Broome and there are large flocks present at the local ephemeral lakes. They are more inclined to run than fly, but are also very adept at swimming. 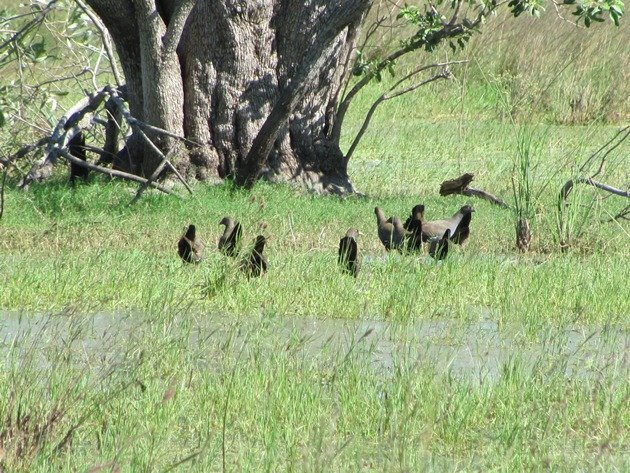 They have a distinctive erect black square tail when they run. 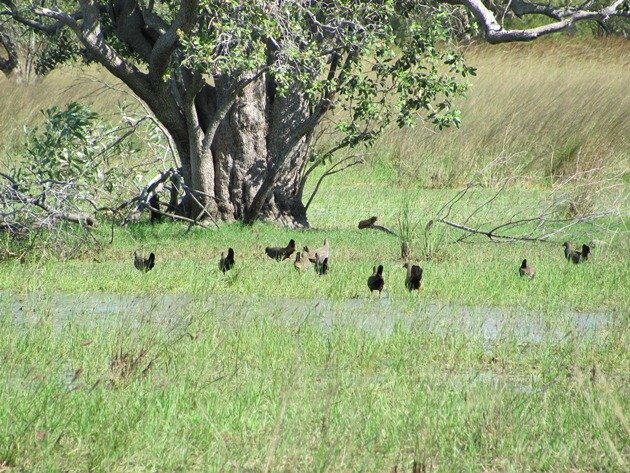 In Southern Queensland we found a group beside a dam right against the road and they ran back and forth to the water. 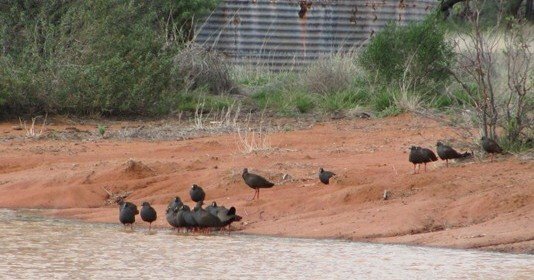 As you can see from the feature picture, they have rather brightly coloured legs and a pale bill. 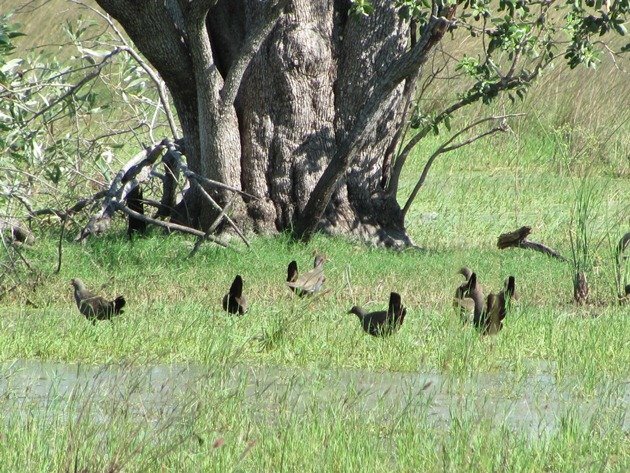 At the local ephemeral lake there were over one hundred spread around the perimeter and several were swimming across shallow water. 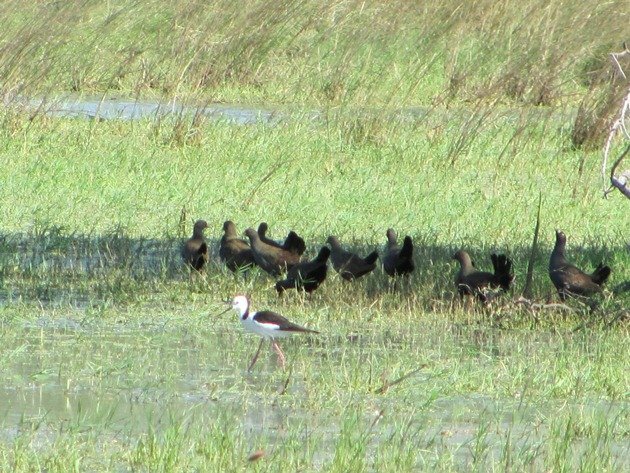 They were in shallower water than the Black-winged Stilt. They were swimming across the great expense of water and moving freely around the lake. 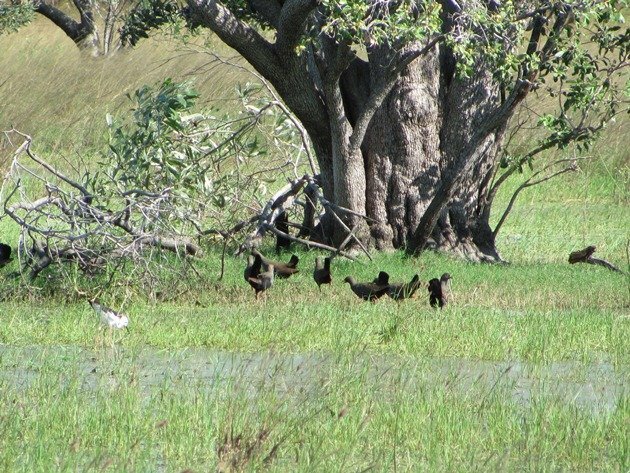 They appeared to travel in smaller groups around the edge of the lake system and they pulled down on the grass to extract seed as they wandered along. 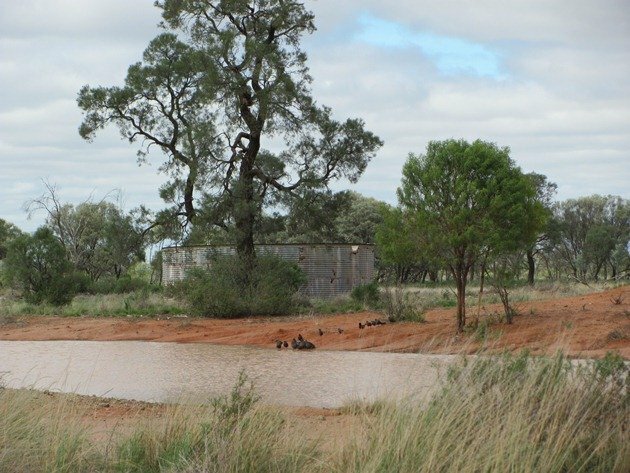 We are about to encounter many dry months ahead and the lakes will soon begin to dry out and the bird life will concentrate and then disperse around the bush. 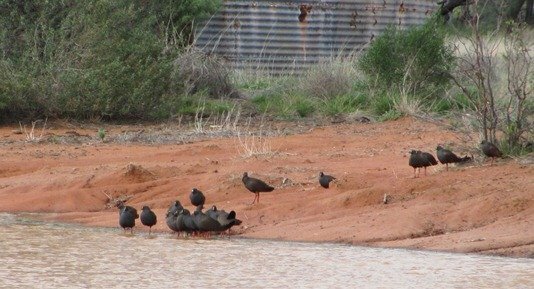 The Black-tailed Native-hens will no doubt depart as fast as they arrived, though we have yet to observe a flock in flight! 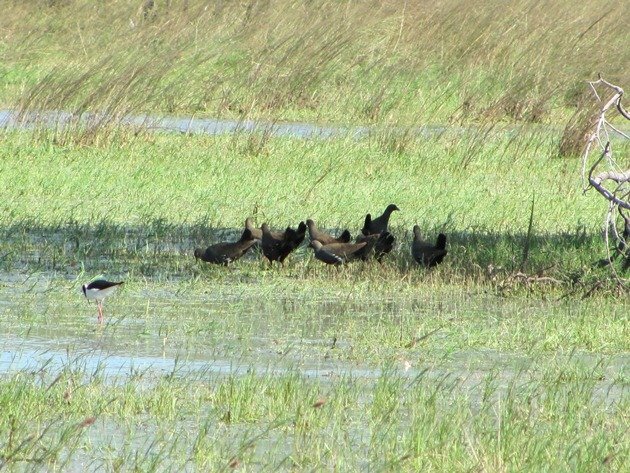 They look like coots in the first photo with tails down, and then when they lift their tails they look like wren-hens! But what strange tails. 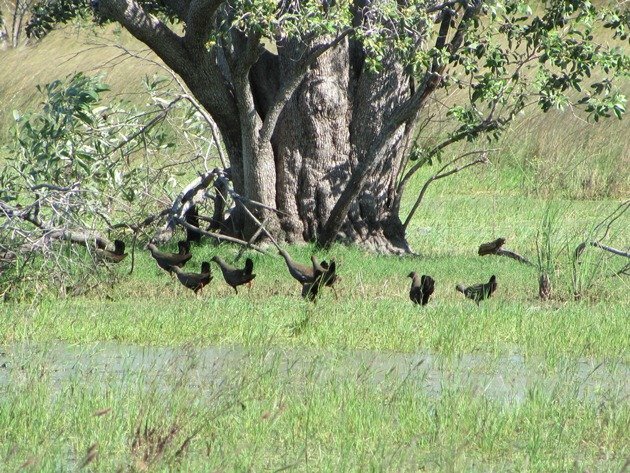 I wonder why they evolved like that, and if any other birds have their tails on sideways?